This year we are going blue to support a world where every child is in school. About 264 million children and adolescents around the globe do not have the opportunity to start or finish school due to conflict, poverty or humanitarian disasters. We are determined to ensure that every child, everywhere, gets the education they deserve. That’s why we are equipping children with new backpacks filled with learning supplies so that they have what they need to succeed. We believe that when we #PackForTheFuture, we can change the world. UNICEF Australia contracted YouGov Galaxy to conduct a national survey of 1001 secondary students in Australia, aged between 14 and 16 years of age, to understand their views about our education system. Achievement and having a good teacher are highly related: and students are not only aware of this, but want teachers who are skilled, who inspire them and are driven themselves. A significant number of students want more “practical skills” to be taught at high school: those that will benefit them in life once schooling has finished. A number of students reported the education system to be lacking because it is training them to pass exams, rather than to retain useful knowledge and life skills. There is a high correlation between academic achievement and parental or carer encouragement and involvement at home. Download the national survey fact sheet (PDF, 425 KB). Education is the right of every child, but 264 million kids around the globe don’t get the chance to go to school. 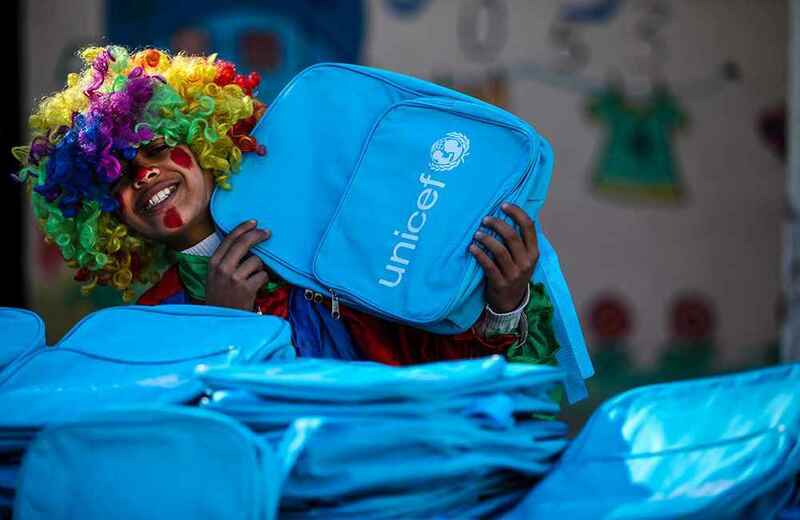 A UNICEF backpack is more than a simple bag. For many children it represents all the hope and excitement of returning to school after a disaster or years of warfare. You can help kids #PackForTheFuture.